Meet the 2016 Laureate Global Fellows—20 changemakers under 30 years of age who are developing creative, locally-driven solutions to some of the world's most vexing challenges. In 2015 alone, initiatives founded by these young leaders impacted more than 290,000 lives in 18 countries. 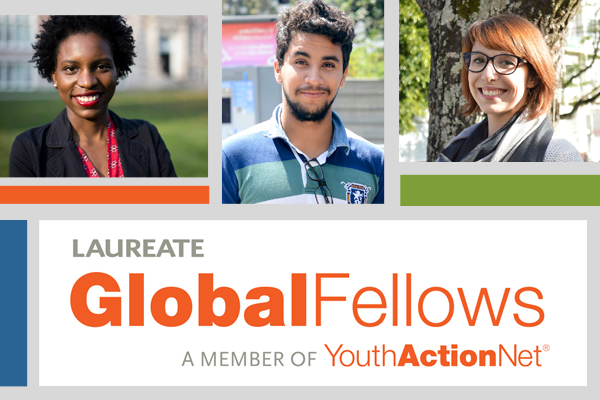 Through the support of Laureate International Universities, this year's fellows will kick off their fellowship journeys through a week-long transformational leadership retreat, followed by a year of coaching, advocacy, and networking opportunities. A documentary photographer, Rehab launched the Catherine Exists Project to raise awareness of and support for the people of St. Catherine’s Protectorate in South Sinai, with the goal of promoting intercultural understanding and dialogue.